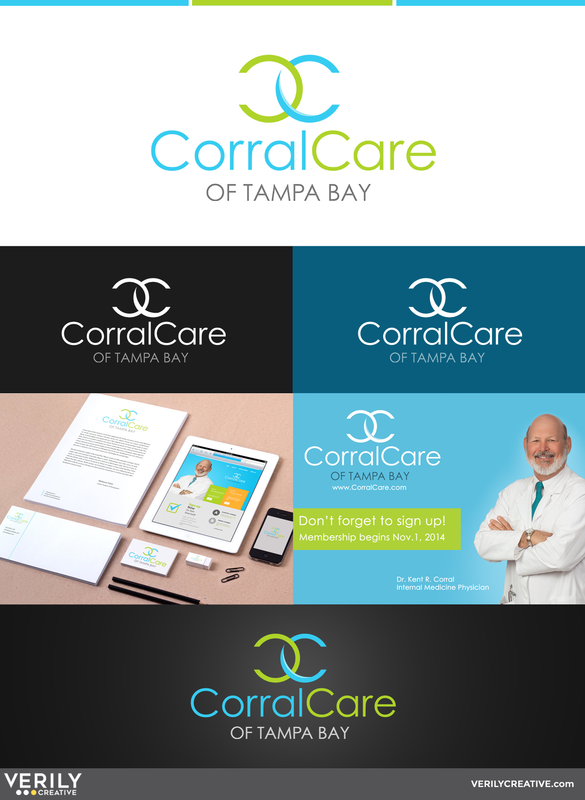 Verily Creative’s relationship with Corral Care of Tampa Bay began in the fall of 2014, and continues as a communications consultancy. Our efforts were geared toward helping Corral Care transition from a traditional primary care practice to a membership (concierge) medicine practice. This included the branding of the name, “Corral Care of Tampa Bay.” The interlocking “C’s” are broken by an ocean wave, while the bright colors are indicative of the gulf-side community of Tampa/St. Petersburg. These colors also influenced the new stationery and brochures, as well as the website, which hosts Verily Creative video-productions of various purposes. The website also includes recurring online membership payment capabilities; essential to the ongoing success of Corral Care. To this day, Verily continues to create online and printed materials for Corral Care, as well as videos for multiple uses, such as waiting-room tv and patient instruction.